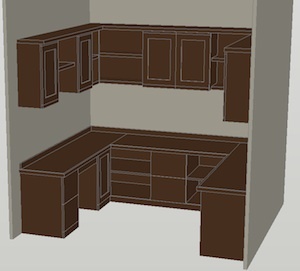 Custom ideas and solutions for built in designs to suit your needs….from pantries, closets to custom made desks. Janis comes up with the ideas that are then submitted to the Designer/Architect or Carpenter, Contractor. This is more of a specialty service where working with someone of the clients choice or an existing person that is already in the position to carry the project forward. Janis will go over every detail to work with you to design a custom fit for all of your needs, stuff, habits and life! It is more or less of putting your organizing style under the microscope to enhance what works best for you, then the designer/etc. can take over and implement the proper drawings and workmanship of the project. Janis and her husband at the time, had built a house looking at every aspect to what would work best, from where the kitchen window had a perfect view of their entire pool without losing valuable storage space for needs of the kitchen. And aesthetically building in for unique furniture pieces that flowed with the house, not to mention using valuable hidden space when looking at the framing stage for additional storage spaces for luggage, seasonal decorations etc. 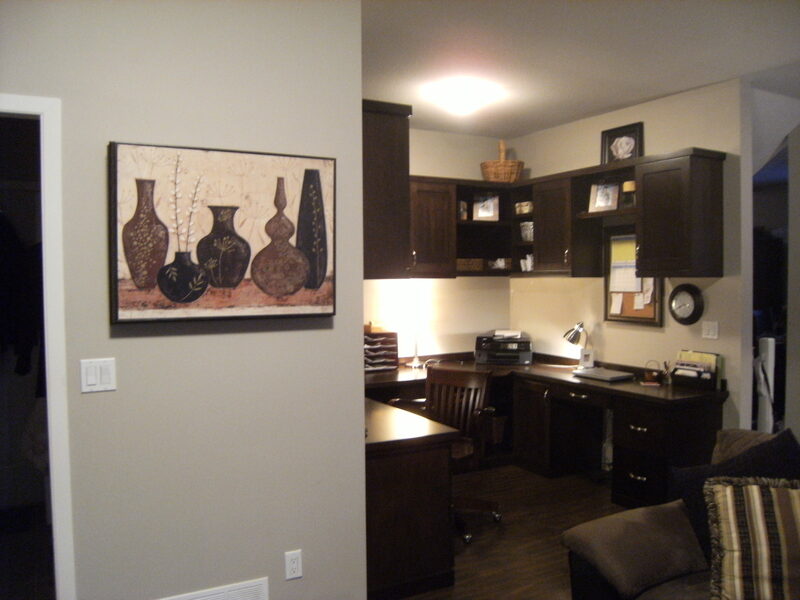 Before photo and after photos from “a disorganized – dysfunctional” office area to the pre-plan drawing to the final results!